Is it safe to buy at a pawn shop? When you’re looking to save big on brand name items like tools, TVs, or jewelry, pawn shop prices are almost unbeatable. But given the history of these bargain stores, many people often wonder is it safe to buy at a pawn shop? 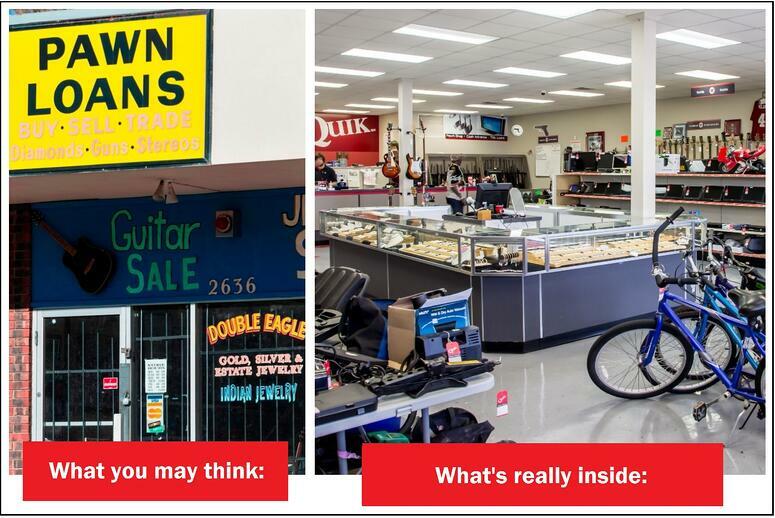 Although there are many reasons why you can rest assured, below are three big reasons why it is definitely safe to shop at a pawn shop near you. Say “no” to risky business. With the rise of making online purchases on marketplaces, so has the rise of scammers posing with items for sale and preying on eager buyers. Rather than meeting up with a stranger somewhere to buy an item you saw for sale on an online marketplace like Craigslist, Facebook, or OfferUp, at a pawn shop you can do adequate research on the establishment you plan to visit so you’ll know exactly what to expect before walking into the store. Once you’re there, you walk into a storefront you trust with friendly employees, surveillance cameras overseeing the bright and spacious showrooms, and a return policy on any item you plan to purchase. Say “yes” to a product protection plan. Some say that buying pre-owned merchandise is risky. What if it stops working? What if it breaks? You may be surprised to learn that some pawn shops offer a low cost limited product protection plan that can cover your item for up to 12 months of worry-free protection. Some product protection plans cover in-store replacement, store credit, item exchange, repair, or more. Say “hello” to a new inventory tracking process. One of the biggest reasons pawn shops have gotten a bad reputation over the years is due to the fact that “bad guys” have been known to pawn or sell their stolen items to these shops. However, much has changed in the way many pawn shops now do business. Not only are those who pawn an item legally required to show a government-issued photo ID, but so do those who are looking to sell an item too. Through this new way of tracking, pawn shops and law enforcement agencies now work together to update a national database called LEADS online. In Alabama for example, pawn shops are now required by law to report everything they buy or pawn to the local law enforcement agency. In their daily reports, they include the model, serial number, brand, and a good description of every item they take in store. This extra security measure protects helps to safeguard pawn shops from buying stolen items, which also helps prevent customers from picking up an item that was stolen too. And this has helped make the way pawn shops do business that much safer for everyone involved. So is it safe to buy at a pawn shop? The answer is yes. Not only can you can find great deals on quality items for a fraction of the cost (and negotiate on the prices), but you can also rest assured knowing that when you do business at a pawn shop, not only is the item safe to buy, but you are safe as a customer and so is your item if anything happens to it and you need to bring it back for an exchange or store credit.